Customers can enjoy ease in the way they pay their transactions as nowadays payment method are developed beyond the traditional wallet content. Indeed, new technologies such as NFC (Near Field Communication) or RFC (Radio Frequency Identification) have allowed new payment method to emerge. The end of cheques, coins and banknotes? 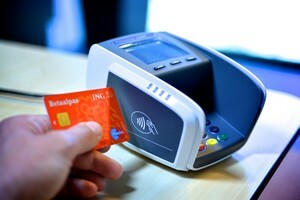 The contactless payments have started with debit cards before to spread to every cards, smartphones and other connected devices. In France, you can use the contactless debit card for any purchase beneath 20 €. All you have to do is to drop your contactless payment mode on the payment terminal and it is done. However, the current state of payment modes on the French market exposes an issue. Actually, according to the website carte-bancaire.com the number of contactless debit card is around 44 million in France. Which represents 66% of the French debit card, while the number of stores equipped with the means to accept contactless technology is about 40%. This represents more than 580 thousand stores in France. The French are willing to pay contactless but are facing a lack of equipment from the retailers. Moreover, in its study the AFMM (l’Association Française du Multimédia Mobile) reveals that 70% of the French population would like to pay more often with their debit card. For 96% of them, it is an efficient and simple way to pay purchases. However, 84% of them say that they cannot pay with their debit card as the retailer won’t take it until a specific amount of money. Finally, 23% of the French confess that they forgot the Pincode of their debit card. This figure rises to 38% within the 15-24 who represents the majority of the demand in contactless payments. Those components underline the need to explain to retailers how important it is for them to offer contactless payment methods to their customers. Moreover, they should not implement a minimum amount for the debit card. By compelling to the demand of customers the retailer will improve its turnover. Other technologies have been developed and implement for the online retailers. For instance, Mastercard launched a program named “Mastercard Identity Check”. The payment solution giant is implemented across more than 210 countries and is pioneering. Indeed, the group has developed a new payment solution based on facial recognition and on the fingerprints. This technology has been developed and was then tested in North America and across 12 European countries. The solution was launched in Latin America a place where e-commerce is ever growing. The idea is to offer to the customer an easy and efficient payment method that does not discourage the customer to purchase. Basically, the user of the solution just has to make a selfie or use his fingerprints to prove his identity and valid the purchase. Making online purchase even easier and safer as never before. You don’t have to type a password, a validation code or any other means to prove your identity you just have to do a selfie. By the way, MasterCard is not the only company to search for innovative and more secured payment methods. 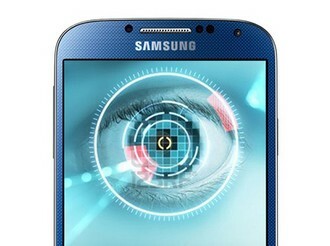 Alibaba has bought the payment solution “Eyeverify” which allows you to pay with a simple retinal scan. Apple accidentally discloses recently that the next iPhone 8 will have an infrared face scanner nearby the front camera which will allow the development of payment through facial recognition. Finally, in 2014 the CNIL (Commission Nationale de l’Informatique et des Libertés) updated its recommendations regarding the elements customers should check before purchasing online. One of them stands out. The CNIL recommends to online retailers to implement strengthened security system to confirm a customer’s identity when purchasing online. Yet, a fingerprint, an iris, a face or even a voice is unique. Using a payment system based on those unique characteristics would therefore be a good decision. This is why the CNIL has allowed “la banque postale” to implement the “talk to pay” payment solution. Thanks to this solution your data are secured. Your three figures cryptogram behind the debit card is deactivated and a random cryptogram is generated for each of your online purchases. Whenever you purchase online before payment the app from “la banque postale” call you, you ID yourself with your voice and get a unique cryptogram. As only your voice can unlock a cryptogram, you are protected from any fraudulent usage of your debit card online. Finally, online payments and offline payments are still evolving. Offline payments lean toward fast and efficient payments through contactless payments. While, on the other hand, online payments seem to be coming from sci-fi movies as it makes accessible technologies such as retinal recognition that we thought were reserved to extremely wealthy people. Now companies should implement new payment solutions by taking into account the CNIL recommendations which will reassure the French population regarding the data that companies have on them.